Ball notes: With its paradigm-shifting emphasis on fitting each golfer to a ball with specific playing qualities that match his swing and tastes, Bridgestone developed a lineup of “tour” models – the B330 series – that makes things remarkably simple. The two top-level balls, the Tour B330 and Tour B330-S, are both designed for players who swing the driver at more than 105 mph. The balls break down this way: The Tour B330 is for anyone who wants maximum distance, while the B330-S is for those with a preference for greenside feel and spin. Hence, 2012 Players champion Matt Kuchar opts for the B330-S, while Fred Couples and Davis Love III tee up the B330. 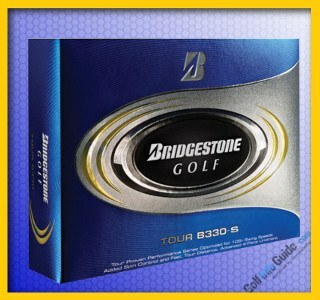 For latest version of the Tour B330-S, Bridgestone created a cover thats 13% softer and 20% thinner than the previous model. The extra room allowed engineers to expand the core with the intention of boosting ball velocity. The Tour B330-S continues to win over consumers and media alike. Golf Digest awarded the ball a gold medal in its 2013 Hot List issue, while numerous other outlets have praised the balls truth-in-advertising performance. Do we share their appreciation? Lets find out. On the clubface: Can you say “squish”? The Tour B330-S practically melts against the club, testing among the softest of all tour models. Feel is consistent from the driver to the putter, and we especially like the soft sensation on and around the greens. Off the tee: If there's a distance difference between the Tour B330-S and the standard model, its minuscule at most. This ball is plenty long, with a relatively high launch angle and nice roll-out. Like its dual-dimple brethren, the Tour B330-S holds its trajectory and line masterfully, even in a fairly stiff crosswind. It was slightly more workable (fades and draws) than we expected, too. From the fairway / rough: The extra instant of ball-on-clubface feel translates to added confidence on approach shots, especially from flier lies in the rough. Good ballstrikers will have no trouble stopping the B330-S on the green with mid-irons. Short iron spin is on the high side but not excessive. Shots that backed up only moved a few feet from their pitch marks. Again, maneuverability and flight stability proved top-notch. Around the green: This ball behaves like a well-trained Labrador retriever. Command it to sit and the Tour B330-S responds in kind. Tell it to run and, if youve played it properly, the ball will do as told. If you've witnessed Kuchars short game wizardry – hes been ranked among the PGA Tours top 14 in scrambling every year since 2007 – you've seen what it can do. Bottom line: Already admirers of Bridgestones Tour B330 line, we had high expectations for the B330-S. It didnt disappoint; if anything, we were pleasantly surprised by the balls driving length and workability. Once again, we say bravo, Bridgestone, bravo. 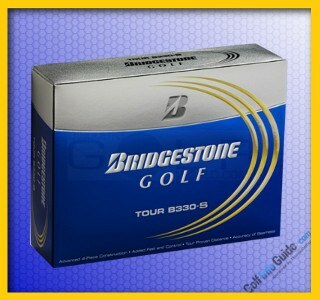 The Bridgestone Tour B330 S is very similar to its Tour B330 sibling, except for the S particle which stands for spin. So, long story short, what we're dealing with here is a premium golf ball built and designed by and for Tour professionals with swing speeds of over 105 miles per hour, with an emphasis on spin, while the normal version (the one without the S) is built for speed. So, if you would like a premium golf ball featuring great amounts of spin, together with more distance and more playability, the Tour B330 S 2016 is an excellent choice. Putting aside the S thing, the two siblings are basically the same, and they feature similar technologies incorporated into their built. I am talking about the new Tour Core engine, now 6 percent larger than in the previous generations and built from a specially designed composite material, which manages to do in one layer what other companies achieve using two or three, thus providing greater ball speeds and diminished spin off the driver, compared to the previous versions. Also, there's a new coating, namely the SlipRes cover, a Bridgestone proprietary technology. This is a very peculiar kind of coating, which works in almost surreal ways, i.e. it has a very high friction coefficient rating which promotes optimal levels of green-side spin but without compromising spin levels from the rough. On top of that, the SlipRes is great for longer distance shot, as it reduces spin off the driver and, hold on: it repairs itself, for longer durability/playability. 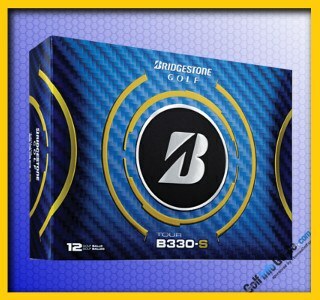 Bridgestone also used the SCT technology in the Tour B330 S, for more consistency, trajectory and distance and a dual dimple cover pattern for achieving the best possible wind performance, as in consistency both on landing and takeoff in windy conditions.